Fishing has never been so fun! Bright and beautiful tropical fish and the beauty of the ocean plunge you into the passion of the deep-sea that all fishermen feel. Catch fish to earn coins and jewels. 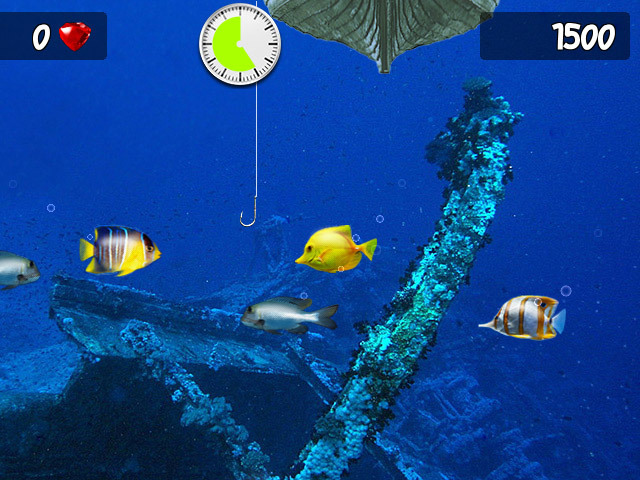 Explore the seabed to win prizes. The treasure chest may be right under you! Especially because you may have to spend it. Your way to wealth is to catch the gold and silver fish. Perseverance: Catching a streak of one species of fish will grant you extra money. But beware of the icy fish! They will reduce your allotted time and take away your chances to show what you can do. The more you play, the richer you can become!